The Adair County School District joins the rest of the community in mourning the death of beloved teacher Kim Downs, who passed away this week after a lengthy battle with ALS. Burton and Jones’ memories are far from outliers. Everyone who knew Downs remembers her for her intelligence and passion for helping students. Her loss will be felt for years to come, but the Adair County School District is in a better place because Kim Downs chose to work here. Our community lost a dedicated and respected teacher named Kim Downs this week to a terrible disease, ALS. Unfortunately, over the past few years, our community witnessed the relentless disease take away Kim’s ability to walk, talk, and eventually move any part of her body except her eyes, but she fought ALS with a fierce determination and faith until the end of her life. Our school community supported her as the disease progressed and eventually took Kim’s life on Wednesday, May 3, 2017. When she was finally diagnosed with ALS, her first concern was her family and students. Even though she knew the disease would eventually take her ability to teach, she was determined to fight and teach as long as she could, and she did just that. Even when the disease took her ability to walk, she used a little red scooter to get around and continue teaching, and if you got in her way, she knew how to use that horn! She taught up to the time when the disease took her ability to speak. During Kim’s teaching career she also served as a leader for our district. Because she was such an exceptional teacher, she worked with surrounding colleges and universities to be a support person for new or struggling teachers. She was always working to improve her teaching and to improve the learning of her students. Her coworkers respected and valued Kim because they knew she was a devoted, dependable, fair, and hardworking teacher that never stopped serving Adair County’s students. Parents loved her because she genuinely cared about their children, and they knew their child would leave first grade knowing what they needed to know in order to be successful in second grade. 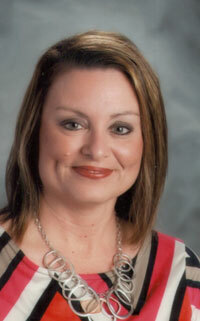 Kim Downs was an elementary teacher in Adair County for nearly 20 years. During those 20 years, she touched many lives. She was the epitome of a distinguished teacher and her devotion to the teaching profession will live on in the hearts and minds of all who knew her.